The Jewish Free Press, Calgary, November 14, 2014, p. 11. Dan, Joseph. The Ancient Jewish Mysticism. Translated by Schmuel Himelstein. Broadcast University Series. Tel-Aviv: MOD Books, 1993. Halperin, David J. The Faces of the Chariot: Early Jewish Responses to Ezekiel’s Vision. Texte Und Studien Zum Antiken Judentum 16. Tübingen: J.C.B. Mohr, 1988. Heller, Bernard. “Autre Note sur le Nom Divin de Vingt-Deux Lettres et sur le Démon de l’Oubli.” Revue des Études Juives 57, no. 1 (1909): 105–108. Kanarfogel, Ephraim. Peering Through the Lattices: Mystical, Magical, and Pietistic Dimensions in the Tosafist Period. Detroit: Wayne State University Press, 2000. Marcus, Ivan G. Rituals of Childhood: Jewish Acculturation in Medieval Europe. New Haven: Yale University Press, 1996. Schäfer, Peter. Synopse zur Hekhalot-Literatur. Tübingen: Mohr and Siebeck, 1981. Scholem, Gershom. “Havdala De-Rabbi ‘Aqiva: A Source for the Tradition of Jewish Magic During the Geonic Period.” Tarbiz 50, no. 1 (1981-1980). Swartz, Michael D. Scholastic Magic: Ritual and Revelation in Early Jewish Mysticism. Princeton, NJ: Princeton University Press, 1996. Progressive educational theory no longer assigns much value to memorization. Analytical abilities and problem-solving take priority over the rote recitation of a Shakespearean soliloquy or of the multiplication tables. This is perhaps a luxury that we enjoy in a world where so many texts and facts can be accessed instantly. Even so, I fear that the tendency is at times overdone and may impede the students’ efficient functioning in real-life situations. A similar pattern is discernable in Jewish religious education. Whereas earlier generations devoted most of the primary curriculum to memorizing the correct reading of the Bible or other sacred texts, the preference, especially in Ashkenazic schools, shifted to early immersion into the Talmud, cultivating the ability to probe the intricate logic of legal argumentation. Although the ability to call up vast quantities of text is an admired achievement, it usually takes second place to the honing of keen and creative analytical acumen. Things were quite different in ancient times when scholars did not have access to written texts of rabbinic teachings. At that time the entire body of traditions that would eventually be published as the Talmuds and Midrash were transmitted from teacher to student solely by word of mouth. Therefore, to qualify as a rabbinical scholar it was not enough to master the intellectual challenges of talmudic reasoning, but one had to have memorized the equivalent of dozens of thick tomes. Thus, while scholarly success was regarded as a crucial religious virtue and a source of social prestige, many aspiring rabbis were impeded by the inherent limitations of their memories. Talmudic literature contains references to students whose memories suffered from lapses, whether on account of their inborn mental circuitry, emotional distress or medical conditions. From documents that have survived from the early medieval era we learn that some students sought to improve their memories with the help of technology—or as we would now classify it: magic. Mystical texts belonging to the genre of “Hekhalot” (which describe spiritual ascents through a succession of celestial “palaces”) preserve a remarkable tradition ascribed to its pseudonymous heroes Rabbi Ishmael and his teacher Rabbi Neḥuniah ben ha-Ḳanah. Rabbi Ishmael reports how, when he was a lad of thirteen, Rabbi Neḥuniah found him “in a state of self-affliction, great suffering and momentous peril.” It seems that Ishmael’s memory was unable to retain from one day to the next the biblical or mishnaic texts he had just learned. He had tried unsuccessfully to enhance his powers of recollection by abstaining from food, drink, bathing, women, song and frivolity. Wise old Rabbi Neḥuniah had a more effective solution to Ishmael’s predicament. He showed Ishmael how to invoke powerful supernatural agents in order to achieve his objective. In keeping with the norms of Jewish magic, this was done largely by imposing oaths on the angels who are responsible for memory, by invoking the appropriate divine names—which are to be repeated exactly one hundred and eleven times, carefully counted out on the fingers (and woe to the one who errs in the count!). The plight that was ascribed to Rabbi Ishmael is one that was probably shared by many yeshivah students who found themselves overwhelmed by the difficulties of memorizing huge volumes of intricate texts. 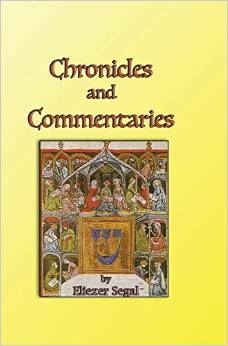 Recent academic scholarship has argued (unconvincingly, to my mind) that the authors and consumers of these works were outsiders who wanted to break into the ranks of the rabbinic milieu, which came to be perceived as as a snobbish elite who maintained their exclusivity by means of their exacting intellectual standards. Some of the texts provide us with more precise details about a supernatural being who wields the power over Torah learning. Very popular for this purpose was an expanded version of the Havdalah prayer for the conclusion of the sabbath. That text was ascribed to Rabbi Akiva and it incorporated numerous magical motifs, most of them designed to shield the reciter from malevolent sorcery. The “Havdalah of Rabbi Akiva” probably originated in Babylonia. It was included in several manuscripts of Rabbi Amram Ga’on’s ninth-century responsum on the order of prayer which formed the basis for most subsequent Jewish liturgical compendia. It likely traveled the well-trodden route of medieval mystical traditions— through southern Italy, and then as part of the esoteric lore brought to the Rhineland communities by the esteemed Kalonymos dynasty of mystics. In Germany it became part of the lore of the Jewish pietist movement (Ḥasidut Ashkenaz) that exerted a powerful influence on the customs and folkways on future generations of Ashkenazic Jewry. There is, perhaps, a measure of irony in the fact that the name of this imposing “prince of forgetfulness” was not remembered very accurately by later Jewish tradition. Some texts spell it “Potaḥ,” appropriately related to the Hebrew word for opening. In later traditions emanating from the kabbalistic circle of Rabbi Isaac Luria, it turns into “Purah” (apparently connected to fertility). Other versions have “Pelaṭiah,” from a root designating escape or slipping away; or the incomprehensible “Puṭa” which, it has been suggested, originated as “Buiti” (or Buidhi), a nasty Persian demon who seduces people to idolatry. One typical manuscript containing directions (as allegedly taught by Rabbi Ishmael to Rabbi Akiva) for the enhancement of skills in studying Scripture, Mishnah and Talmud, the reader is equipped with an assortment of incantations full of exotic divine names that must be recited a specified number of times and at designated occasions; along with instructions for prolonged fasting, bathing and partaking of special foods. Magical expressions are to be inscribed on certain objects, such as the leaves of fig and olive trees, or dissolved into wine that one then drinks from a special jar or cup. The formula is to be written on a one-day-old egg from a dark spotted hen. The egg is roasted, peeled and again inscribed with the incantation, and then it is eaten. This should be followed by a period of fasting. If performed precisely, the Prince of Torah will appear to the person and speedily remove the metaphoric stone that was obstructing his heart, so that he will now be able to internalize and master the sacred texts. Now, I am aware that these instructions are quite complicated—but don’t bother copying them down.